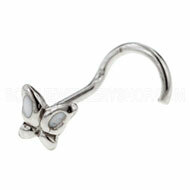 Treat yourself to a delicate, pretty look with a piece of lilac piercing jewellery. 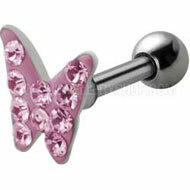 A lot of piercing jewellery uses bright colours like pink, red and royal blue. This can look great but what if you want something a little more subtle? 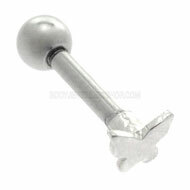 I recommend checking out our range of lilac piercing jewellery. 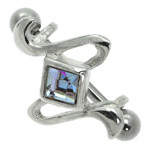 These pieces come in a range of pale lilac colours that look simply gorgeous. 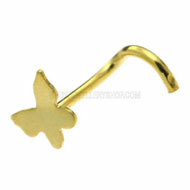 They are perfect for a more feminine, girly look and often include sterling silver fittings. 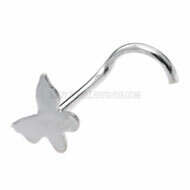 This entry was posted in Belly (Navel) Piercings, Navel Bananabells and tagged Belly Piercing Jewellery, Body Jewellery, Piercing Jewellery on May 8, 2011 by Piercing Guru.